There are superstars, movie stars and then there’s a living legend. Amitabh Bachchan, who has wrapped up a tough, demanding schedule for Yash Raj Films’ mega flick Thugs of Hindostan at Malta recently, shows what it takes to define professionalism and passion for cinema during this shoot. Filming with Mr. Bachchan brought in emotional moments for the film’s writer-director Vijay Krishna Acharya. Mr. Bachchan had wrapped up his portions and was all set to fly out after an extra day’s work when a shooting pain in his lower back kept growing exponentially. Filming for the action scenes in Malta for Thugs of Hindostan had actually resulted in a minor injury for the mega star. He did not know it yet but he cracked his upper left rib, but the star continued to work despite excruciating pain. Given that the film’s shoot was working to a tight schedule, he continued to shoot, dealing with this pain. 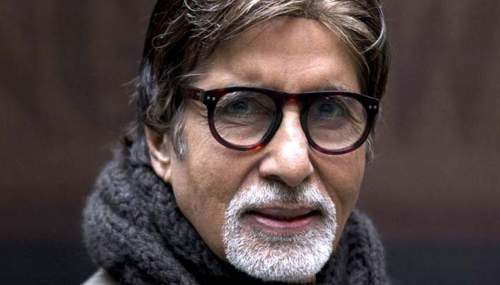 Which is why, on the last day, writer and director of Thugs of Hindostan Vijay Krishna Acharya wanted to avoid shooting given the pain Mr Bachchan was facing. But instead, Mr. Bachchan chose to complete the shoot. It was only on his return to Mumbai that an MRI was done on doctor’s orders, and the source of this terrible pain was found. Despite a cracked rib, Amitabh Bachchan continued to focus on the film’s shoot and push himself. Not many in the world of cinema anywhere can match up to his professionalism, one that leaves a lasting impression on his crews forever.